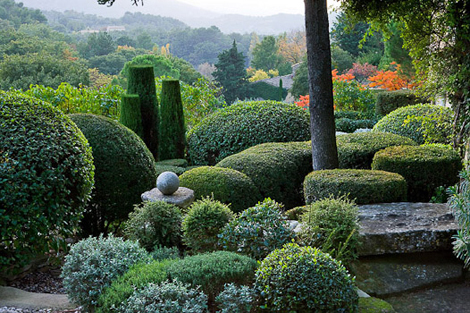 Everyone has their list of favorite gardens that they have visited over the years. And most of us also have a wish list of gardens that we would like to visit someday. 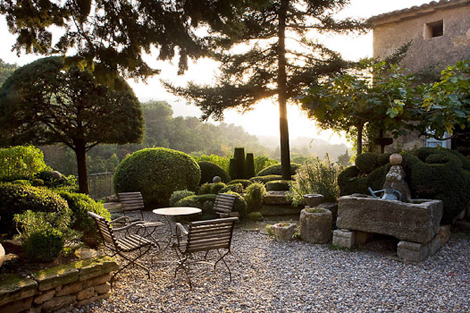 Sitting at the very top of my wish list for many years has been La Louve, the Provencal garden of Nicole de Vesian. I have collected many photos and magazine articles about this garden but the new book by Louisa Jones, with many of the photographs by Clive Nichols, is the first complete monograph to date on de Vesian’s contemporary masterpiece and probably the closest I will come to a real visit to this garden without actually hopping on a plane to France.